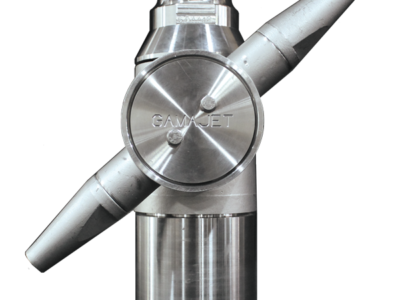 The Gamajet 10 Tank Cleaning Machine is the first, and only, automated tank cleaning machine capable of getting 100% of residual fuel, dirt and sludge out of underground storage tanks. Designed to fit through standard UST inlets, the new lightweight unit is fluid driven and requires no external power supply to clean any size storage tank. 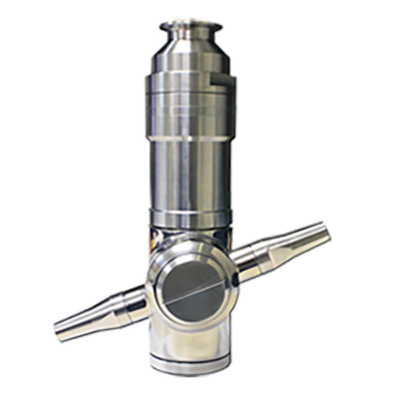 Its powerful 360 degree rotary jets blast away contaminants and break up dirt and sludge that can be conveniently vacuumed away. The is the only machine small enough to fit into USTs, yet with enough power to clean 100% of the interior. It easily puts the contaminant-laden sludge into solution which allows for complete liquid extraction and thorough tank cleaning. 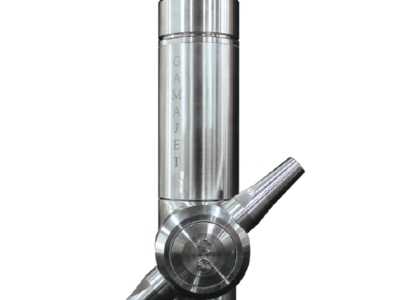 Using a gamajet tank cleaning machine you can quickly clean the tanks and have them ready to accommodate the next load without the risk of contamination. Responding to the needs of the petroleum and contract cleaning industries, we are the only source for an effective way to fully clean your fuel storage tanks. Clearance: 4″ (101.6 mm) minimum passageway I.D. 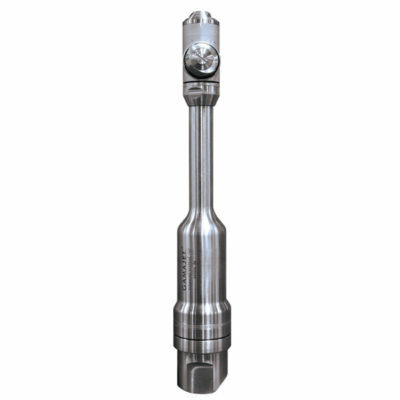 Inlet Connection: 1 1⁄2″ NPT-Female. Stainless Steel investment castings or bar stock. 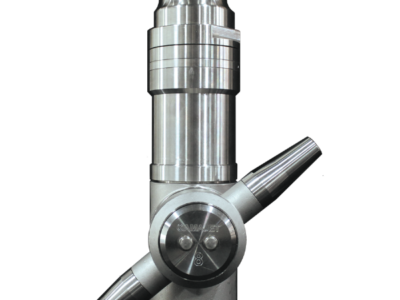 Impeller & Final Shaft: For increased wear resistance, the rotor shaft is plasma-sprayed with a Chromium Oxide coating on Stainless Steel. 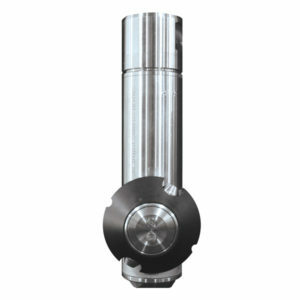 Shaft & Gearbox Bushings: Rotor shaft thrust is absorbed by a Tungsten carbide bushing. Gearbox bushings are also Tungsten carbide. Static Seals: O-Ring materials are selected for each application. Viton is standard with Kalrez and EPDM available. Other materials can be supplied on special order. Dynamic Seals: Dynamic shaft seals are spring-loaded, double-lipped and made of PTFE. They are reinforced with carbon fiber for extra long wear and protection against leakage, abrasion and deposit build-up. Nozzles: Dual 0.250” (6.35 mm), 0.312” (7.92 mm) and 0.375” (9.52 mm) orifice diameters. Other nozzle sizes available upon request. horizontal plane and the nozzles in the vertical plane. steel, the end caps and the output shaft are stainless steel. Lubricant: A food grade grease is inside the sealed gearhead casing. No customer-supplied or user-maintained lubricant is needed.